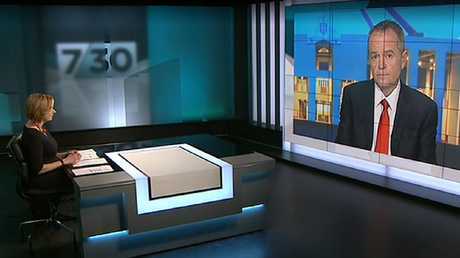 ON HIS first big interview following his Budget reply Opposition Leader Bill Shorten was skewered by Leigh Sales on the one glaring omission from Labor's alternative plan. Despite announcing Labor would spend billions more than the Government on tax cuts, there was no mention of any rise in the level of the Newstart allowance. That's despite even former PM John Howard having said the benefit was now too measly. And he introduced a benefit freeze. Mr Shorten said the Newstart elephant in the room was an "issue", but he struggled to explain why, if it was one, he hadn't raised the allowance. 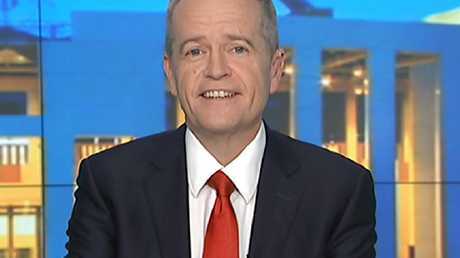 In the sometimes direct discussion, Sales also asked if Mr Shorten had "misled" Australia when he had previously assured them that no Labor MPs would be caught up in the dual citizenship scandal and questioned his character suggesting he "blames others instead of copping it on the chin?" In his Budget reply, Mr Shorten announced that Labor would support the Government's tax plan in 2018-19 that includes tax cuts for low to middle income earners. But if Labor got into power, they would splash even more cash with nearly $6 billion in tax cuts over four years. Millions of people could get almost $1000 tax back a year and schools and hospitals would get more funding than under the Coalition. 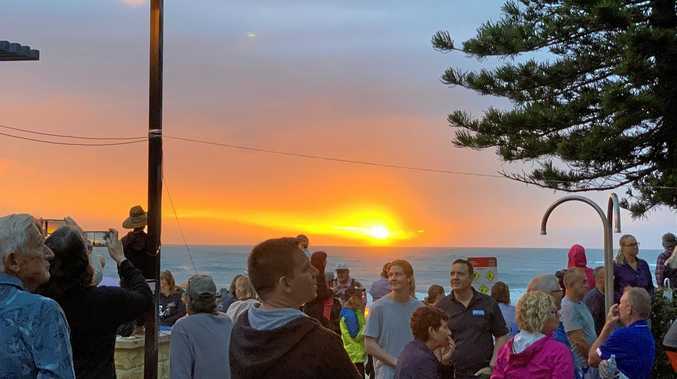 Labor would also dump the Government's plans for a single tax band for people earning between $41,000 a year and $200,000 opting for a progressive percentage rise for those earning more. "Mr Turnbull wants to reduce taxes for the top end and I want to do a better deal for 10 million Australians - simple as that," he said on 7.30. But Sales was more interested in what was missing from his reply - any increase to Newstart. Liberal MP Julia Banks was ridiculed last week when she said she could live off the $40 allowance for jobseekers. "Since Budget night a number of senators have raised concerns about the fact that the Government didn't raise the Newstart allowance. Even John Howard, who started Work for the Dole, said that Newstart should be raised. "Why is Labor hiding behind a (previously announced review of the allowance) given they have money to spend?" "I like that John Howard says he cares about Newstart now. He had a chance for 12 years, didn't he? "The issue of Newstart is real. Unlike the Government, I don't pretend that you could live on $40 a day," said Mr Shorten. "So why haven't you lifted (Newstart) tonight?" Sales persisted. "One, we are not the Government and, two, we need to review the payment system. You probably didn't notice in my speech I deliberately sent a message saying that job seekers living in poverty is an unacceptable set of circumstances." 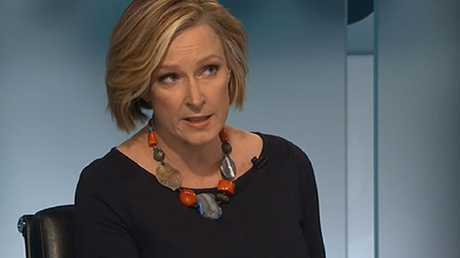 So, if not now, are you going to raise Newstart as a pre-election sweetener asked Leigh Sales. 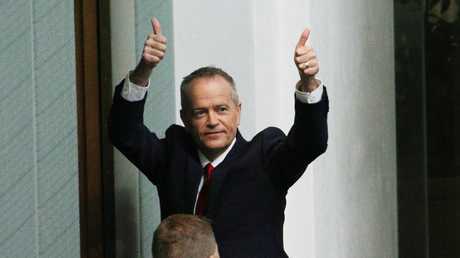 Bill Shorten said neither yes or no. Did that mean Labor was instead planning a pre-election multi-billion dollar splurge to up Newstart then, asked Sales? Shorten didn't say yes. Or no. "I am not about to spend billions of dollars on your show. What we are going to do is get the evidence." The pair seemed to be suffering from Budget malaise. A stumble by Sales over the year the Government intended to get the Budget back into surplus, led Mr Shorten to say Labor would achieve the feat not in 2019 but in "1920", some 98 years ago. Sales turned away from the Budget and asked about the ongoing dual citizenship fiasco that this week saw four Labor members announce they would leave the House of Reps.
She played a previous clip of Mr Shorten giving a "rolled gold" guarantee that no Labor MPs would be affected by the scandal that was then engulfing the Government benches. Didn't that put a dent in his credibility, she asked? "The best legal advice that we had said that our people would survive what we thought to be the existing law. I am very sorry that things have got to where they are - no question," he replied. ”I am infallible,” said Shorten to questions about the handling of the dual citizenship saga. But Sales wasn't letting him off the hook that easily. "The High Court makes it clear it is not a new interpretation, it is upholding its previously stated position. Regardless of whether it was your lawyers' advice, when we see what you assured Australians of last year, you misled them." "I understand people's frustration and annoyance, but this has been quite a tricky section of the Constitution. If I had known then what I know now, then of course we would have said something different, but I didn't." "Is this a model for how you will deal with mistakes as Prime Minister? You will say something misleading and blame others instead of copping it on the chin yourself?" asked Sales. "No, if you are saying that someone has to be infallible to be Prime Minister, the last person who did that died on a cross years ago."